Hello! I have fallen down the rabbit hole of a new obsession: notebook covers from Foxy Fix! 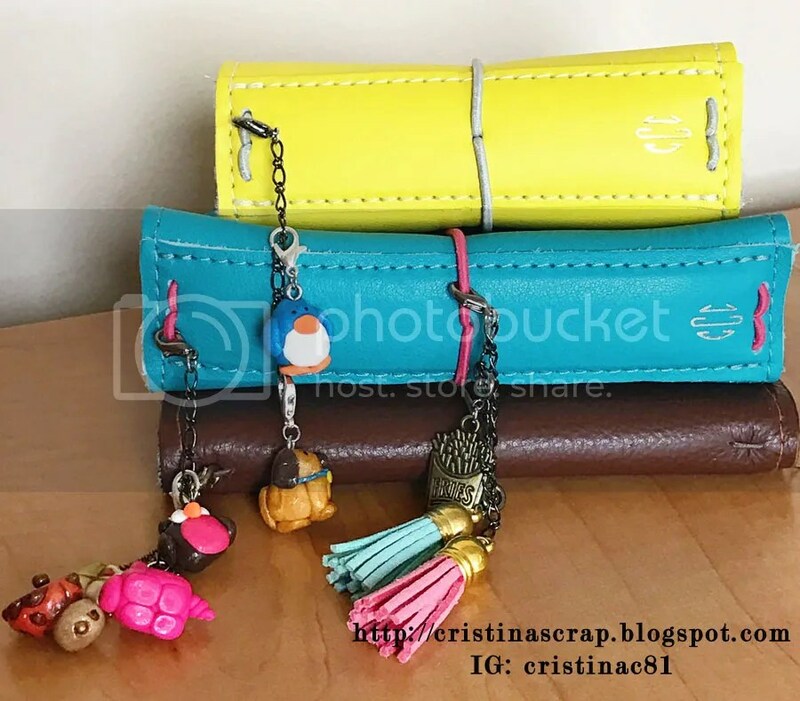 I love these so much because you can personalize them by choosing the leather type and color, stitching color, elastic color, size, pocket configuration, width of the spine, and you can add embossing to the spine and/or cover. Lots of choices! For my first order, I chose to get two of the smallest notebooks: a size 0 Sugar Lemon Drop – this leather was just discontinued! – and a size 1 Moccasin Tiger Lily. I am now using these two notebooks as my wallet (more info below)! These are both “couture” notebooks – currently Foxy Fix is facing high demand so they limit how many they put up for sale (so if you go see their website it’s likely you’ll see all couture items sold out – but no fear: check back on Mondays, Wednesdays and Fridays at 8 AM PST and they will be back in stock). I placed my order on February 17th. The production window is 10-20 business days, and mine were in fact shipped on the 10th business day. The notebooks come wrapped up in fabric bags, and they also include a leather sample with your box. I got this Sugar Pink Grapefruit sample… which I took in fact as a sign, because I have placed a second order for a notebook in this color even before getting this box. I love this color already! I chose not to have any writing / design on the front covers, but I had my initials added to the spine (in silver foil on the turquoise notebook, and in gold foil on the yellow one). For size comparison, you can see the “passport” notebook cover I handmade a while back (you can find the details here). What I find unique in the Foxy Fix notebooks is the reinforced spine (it comes automatically with some types of leather – including the Moccasin and Sugar I bought – and is optional on others). They also offer two widths: 1.5″ (wide) or 1″ (compact). I chose compact for both and I think this is already chunky enough for me. I had fun adding some charms to my notebooks! I made most of these using this clay charm kit (I had lots of fun with these!!). I also chose to also get a pen loop with both notebooks. I like to position it on the side as you can see here). And here you can see the difference in sized between the #0 and #1. I’m using these as wallet, and bought these credit card holders on Amazon to hold all my credit and rewards cards. I’m so happy to have these colorful notebooks in my purse!